STANDARD RESISTOR™ Brand resistors are used throughout Australia and Overseas for accurate, safe and long-term control in electrical power and motor systems. As specialized designers and manufacturers of high power and accuracy resistors, we are there to safeguard a very wide range of power, motor and distribution systems in railways telecommunications, laboratories and major lift / elevator companies. 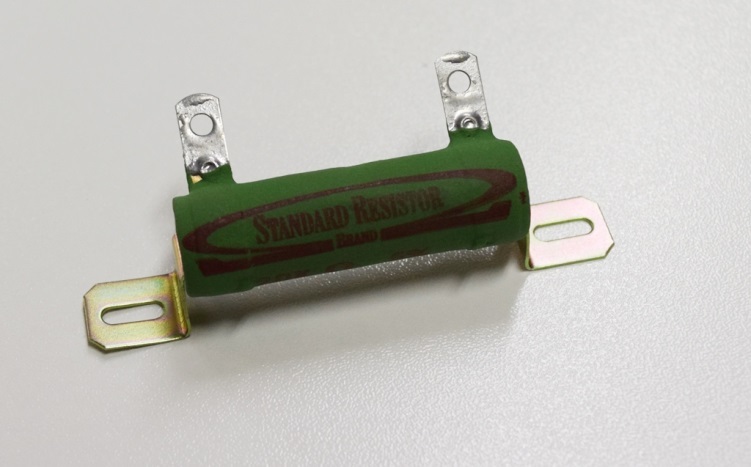 Standard Resistor brand consists of a wide range of wire wound resistors from 5 Watts to 1000 Watts to suit your needs as a fixed resistor or adjustable resistor. V-Type Vitreous enamel coating providing the ultimate protection against high humidity, environment attack and mechanical damage. •	Withstand frequent start-stop cycles of motor starting and dynamic braking as the Vitreous coating also has a very high thermal mass and heat transfer rates thus absorbing heat of transient overloads. •	Continuous operation at 350°C is possible using Vitreous enamel coating if designers wish to use smaller resistors for a given load. 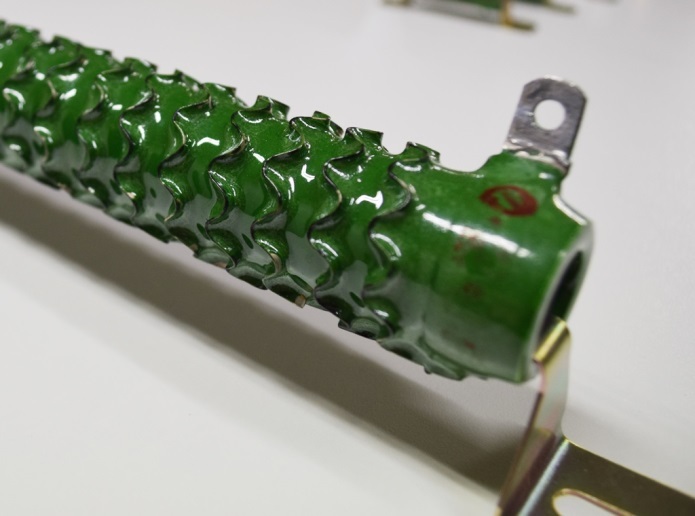 •	Terminal lugs avoid the effects of bending strains as the resistance element is silver soldered to the terminal lug band at a point remote from the terminal lug projection. 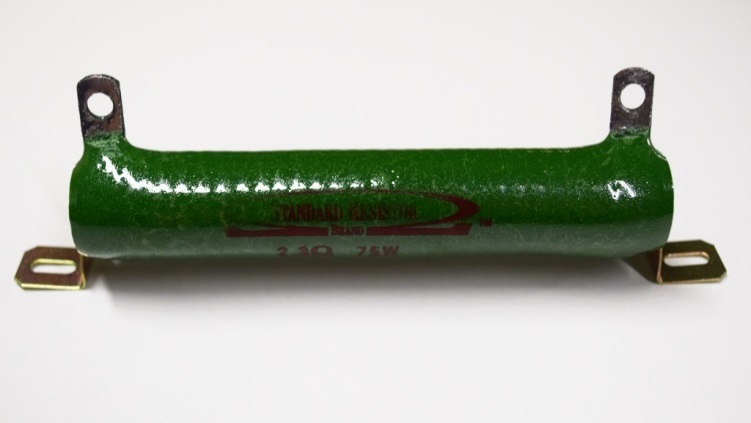 This is the only proven reliable technique and is used on all Standard Resistor Brand products. 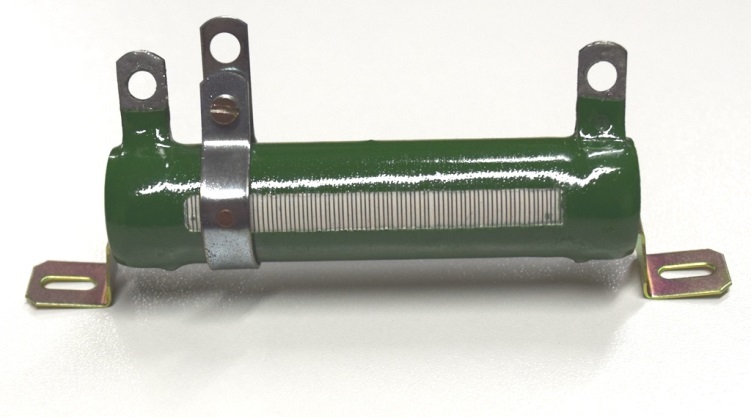 Terminal Lugs are also suitable for soldering or bolt connection. “COOLFIN”: range are designed for equipment requiring low resistance ohmic values and high current capacity. 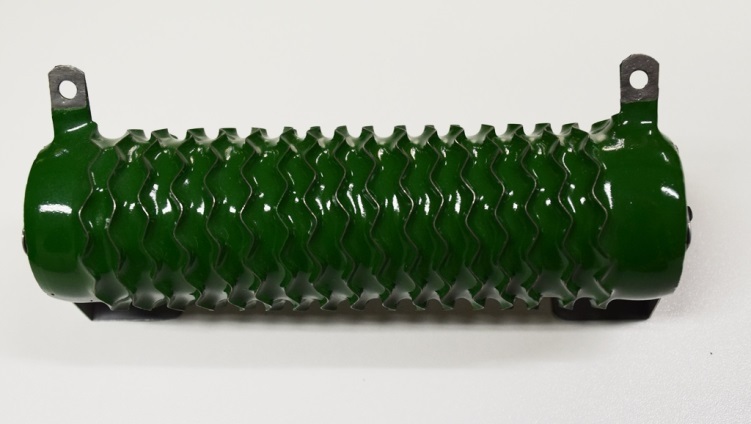 •	“COOLFIN” ribbed construction aids in rapid cooling and especially constructed for motor starting and VSD Braking overloads. These are designed for equipment requiring low resistance ohmic values and high current capacity. “Adjustable resistors” provide good electrical contact with a silver contact type clip. First letter relates to resistor former diameter – actual wire wound diameter is greater by varying amount due to resistor wire size and coat thickness. Second letter relates to resistor former length which is constant. First Column gives normal commercial rating for a surface temperature of 250°C in 20°C ambient. The second column ratings are for “V” coating. The range of resistance values are recommended limits – other sizes may be made but at increased cost and possibly reduced reliability. Mountings. Types AA and AB are self-supporting on radial wire leads or solder lugs. The larger sizes are normally supplied with horizontal mounting feet. Vertical mountings with thru rod and dished washers are available on request. Tolerances. ± 5% above 50 Ω, ± 10% below are standard. ±1% available at increased cost. 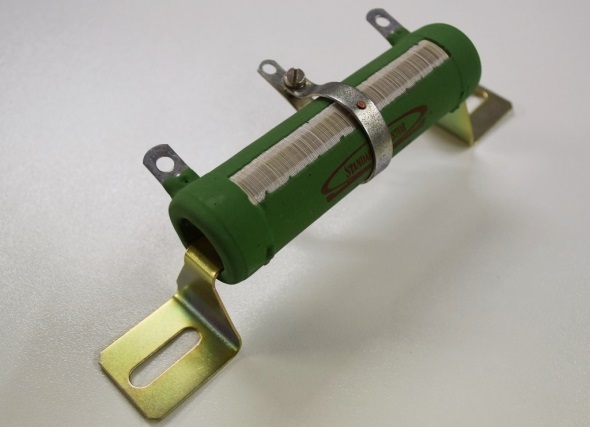 Tapped Resistors can be supplied to detail. Ohmic Resistors remains committed to handling urgent delivery schedules, offering a quality range of wire wound resistors of proven reliability – so contact us now on +61 2 9820 5055 to discuss your needs.